Our honeymoon will be enhanced with a stay in the One King Bed City View Room. This charming room is designed with our comfort and convenience in mind and boasts a mini refrigerator, a work area with ergonomic chair, a 42-inch plasma TV, a king size Hilton Serenity Bed with luscious linens, and a marble bathroom with designer bath amenities. Outside on our lanai, we will sit back and relax on our chaise lounges and take in the spectacular city views. We will enjoy the enchanted settings of the One King Bed Deluxe Mountain View Room on our honeymoon at Hilton Waikiki Beach! This charming room is designed to heighten our experience and boasts a mini refrigerator, a work area with ergonomic chair, a 42-inch plasma TV, a king size Hilton Serenity Bed with luscious linens, and a marble bathroom with designer bath amenities. Outside on our lanai, we will sit back and relax on our chaise lounges and take in the magnificent mountain views. A stay in the One King Bed Deluxe Ocean View Room is a lovely wedding gift for our Hawaiian honeymoon. This stunning deluxe room is designed to heighten our experience and features a range of special touches, including a mini refrigerator, a work area with ergonomic chair, a 42-inch plasma TV, a king size Hilton Serenity Bed with luscious linens, and a marble bathroom with designer bath amenities. On our lanai, we will sit back and relax on our chaise lounges and take in the sparkling ocean views. 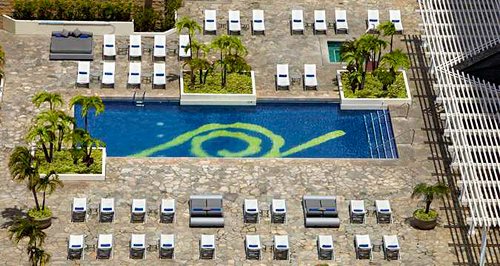 The Hang 10 Bar & Grill is located poolside on the 10th floor. We will enjoy outdoor dining for lunch grilled to perfection right before our eyes. A variety of unique refreshing beverages are featured, including the MacCano that we must try! 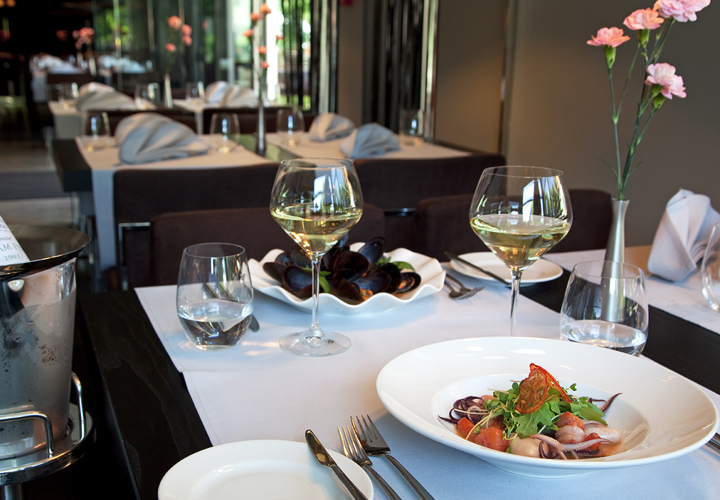 There are no limitations with In Room Dining at the Hilton Waikiki Beach, as they feature the entire menu 24 hours a day from their award-winning MAC 24/7 Restaurant, as well as the best fresh baked pizza on the island. We can also choose from a fine selection of spirits, cocktails and wine by the glass or bottle and enjoy in the comfort of our room or suite. 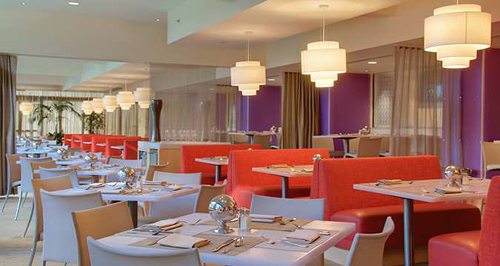 MAC serves breakfast, lunch and dinner in a contemporary, upscale and casual atmosphere. 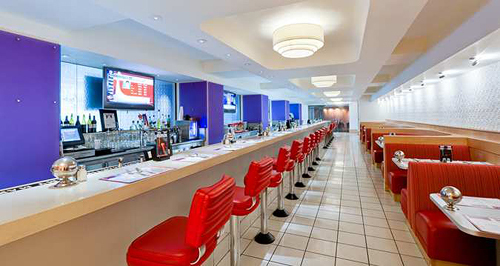 Modern American Cooking is available 24 hours, seven days a week. The menu features classic American dishes contemporized with drama and island flair featuring farm to table ingredients. 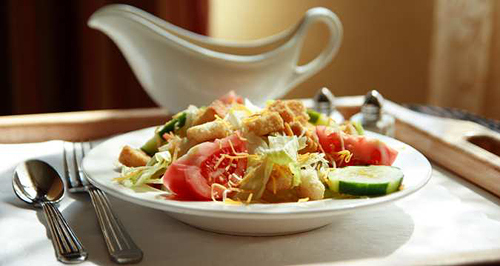 While dining, we will catch our favorite sports or news program on one of the ten HD large flat panel screens. Conveniently located on the Lobby Level adjacent to MAC 24/7, MAC 2-Go features fresh brewed Starbucks Coffee®, espresso, cappuccino, myriad hot tea selections, and wide variety of juices, waters and sodas. Their talented pastry chef creates fresh baked delights and breakfast sandwiches for our enjoyment. If we are on the run, a Lunch-in-a-Box is always available for morning pick-up. Located on the main Lobby Level and overlooking the Garden Terrace, this bar serves tantalizing libations. The Lobby Bar is a modern, stylish bar graced with a relaxing lounge where we can unwind on oversized settees and bed-sized chaise lounges while enjoying our favorite contemporary cocktails or tropical concoction. 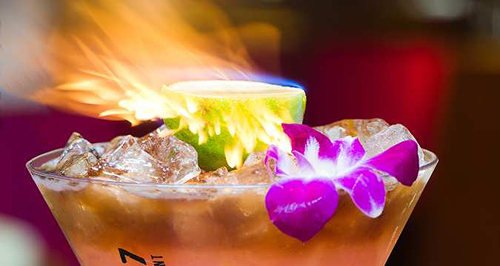 Half-priced drinks reign supreme from 5-7pm daily, with live entertainment featuring Hawaii’s most contemporary acts Wednesday through Saturday, 6-9pm. The beautiful Hilton Waikiki Beach is located in the heart of Waikiki, set right beside the sea in Honolulu on the island of Oahu. 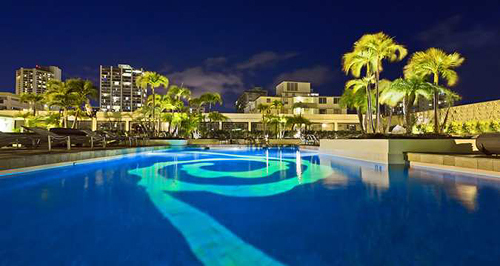 This contemporary Waikiki hotel offers us tantalizing dining and drinks at the restaurants and bars. From the comfort of our room, we will toast to our new lives together with a bottle of wine or champagne. In the gift shop, we will pick up some souvenirs to cherish for a lifetime. With your wonderful wedding gift, we will we will create unforgettable honeymoon memories with this extra resort credit! 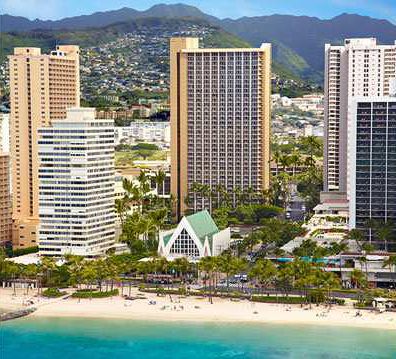 Ideally located in the heart of Waikiki, only one block from the sea and with Leahi (Diamond Head) as a stunning backdrop, Hilton Waikiki Beach promises us a true Hawaiian paradise. 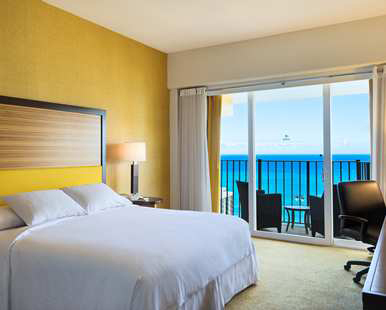 We will discover stunning views of the legendary waters of Waikiki from the comfort of our spacious room or suite featuring large lanais and lavish amenities. We will lounge on the sundeck by the outdoor pool, relax with a refreshing cocktail at the pool bar and enjoy a delicious dining experience in contemporary, upscale surroundings at the restaurant. We will enjoy an energizing workout in the 24-hour fitness center and take advantage of close proximity to many local attractions, including Honolulu Zoo, Kapiolani Park, and more. 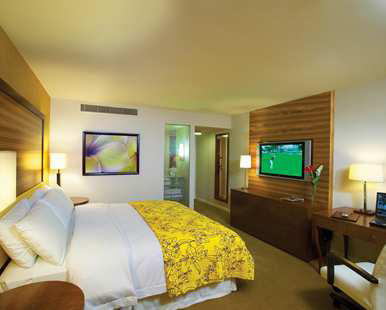 Hilton Waikiki Beach will enhance our honeymoon with special touches, impressive amenities and charming hospitality! A chilled bottle of champagne will be delivered to our suite. We will make a toast to our romantic honeymoon in Waikiki while taking in the sweeping views of the Pacific Ocean and the stunning beach surroundings from our balcony. How romantic! A bottle of our favorite wine will be delivered to our room or suite. We will make a toast to our honeymoon while taking in the enchanted views of Waikiki and the Pacific Ocean and beyond. We will discover romance at its best! 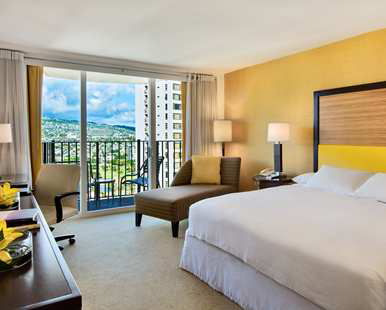 On our honeymoon, we will make the most of our time at Hilton Waikiki Beach and book a Bed & Breakfast package. This package includes breakfasts for two, from healthy to decadent. We cannot wait to be completely pampered on our intimate escape. Since we are renting a car to explore the beautiful island of Oahu on our honeymoon, we will benefit from the Room and Parking Package! This package includes daily valet parking for one car per room. The Instant Getaway Package will allow us to enjoy a few extras, compliments of Hilton. From complimentary sparkling wine or cider when we arrive, to breakfast for two served in our room, we may never want to leave. We can also arrange for early check-in or late checkout.